During the wildly exciting process of compiling the new Vinyl Connection Index page it was noted by the VC auditor that many months have elapsed since we last ventured into the sweaty mosh pit of live recordings. How better to remedy that lamentable oversight than by tackling that monster of vinylosity, the triple live album? Live albums have been around almost as long as sound recordings. Indeed, early recordings were all ‘live’ – that’s what a field recording is. But as for recording devices being taken to a bar or club and plonked down on a table near the stage, well that became a staple of jazz recording. Such recordings formed a substantial part of the catalogues of many major artists (take a bow, Miles Davis; play an encore, Bill Evans). And this was before the Music Archive treasure room was busted open to reveal an endless stream of ‘historic’ concerts that could be released in ever-increasing quantities to the significant financial advantage of struggling superannuated rock gods (here are the keys to New Zealand, Mr Page; Mr Plant’s new ocean liner is steaming towards it as we speak). But when did the cell division of single into double albums occur? What bright amoeba had the idea of inserting a second disc into the empty gate of a gatefold cover? And then, who insisted that two platters were insufficient company and that a crowd of three was more desirable? The earliest double live album I could track down in the rock sphere was by the redoubtable Grateful Dead. Known for their long meandering shows filled with long meandering pieces, it is unsurprising that they needed four sides of vinyl to capture something of their concert presence. Released in November 1969, Live Dead is a brilliant head-trip of an album that single-handedly invented psychedelic stoner rock. The Doors 2LP set Absolutely Live came out in July the following year while The Allman Brothers – another band well acquainted with the extended instrumental jam – released the high-energy double At Fillmore East in July 1971. All of these albums are worthy of enthusiastic reviews but we cannot linger in double-album land. As well as Live Dead and The Beatles impromptu performance on the rooftop of Abbey Road, another significant concert event of 1969 was the Woodstock Music and Art Fair, held over three August days in upstate New York and captured for posterity on film and magnetic tape. The album of the music was released in May 1970 and included a couple of songs by many of the performers. The first ever rock triple live album. 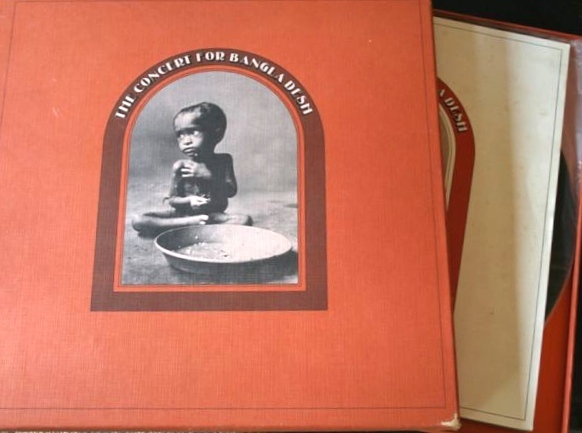 The following year George Harrison was approached by his friend Ravi Shankar about organising a benefit concert for the starving millions of Bangladesh. The plug having been irrevocably pulled on his former band and his own (studio) triple album being last year’s news (All Things Must Pass, November 1970), George said ‘Yes’. The two concert dates gave birth to a triple live album and significant controversy over money. Like the ‘three days of peace and music’ festival, The Concert for Bangladesh contained performances by a number of ‘friends’, most notably Bob Dylan. The roster of players was impressive too, with Eric Clapton, Leon Russell and Billy Preston all prominent. 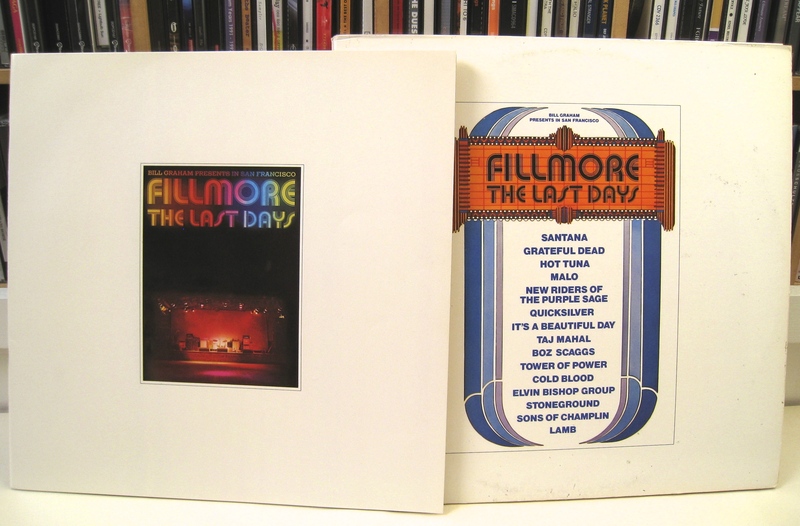 There have been other ‘in concert’ triples featuring a variety of artists, including Last Days of the Fillmore (June 1972) and Sunbury 1973 – The Great Australian Rock Festival, but who was the first artist with the hubris to release a multi-disc album of just themselves? The answer may surprise. Having produced a prolific three double albums of studio recordings in the years 1969 – 1971, brass-driven progressive jazz-rock pioneers Chicago were touring the latest one in early 1971. Part of the tour was a week of concerts at Manhattan’s prestigious Carnegie Hall which were recorded for posterity. Despite misgivings of both record company – who demanded they take a lowered royalty rate to hedge against the higher production costs – and some band members (James Pankow was unhappy with the recorded sound of the brass), a lavish boxed set came out in October 1971. It contained a booklet, two posters and no less than eight sides of music. Yep, Chicago IV had four records. Let’s count ‘em: a-one and a-two and a-1-2-3-4. There has been a lot of criticism of this live magnum opus and certainly if you sat down to listen to all eight sides you’d probably be a gibbering mess by the two-and-a-half-hour mark, but overall it is nowhere near as bad as you might imagine. Chicago in their early days were inventive, energetic and versatile and there is much to enjoy here despite the brittle, slightly grating sound production. Whether you’d want the 2005 CD re-issue with a further hour of music is a moot point, but I’d still rather listen to four hours of 1971 Chicago than 14 minutes of Chicago XXXIV or whatever roman numeral they are up to now. (You think I’m joking about that album number? So did I… until I looked it up). So finally we get to the first triple live album by a single artist. And guess what? The culprit is not surprising at all. Feedback on the post (in fact, on any post) and the Index most welcome! Wasn’t Chicago also the first rock band to play Carnegie? That might be one of the reasons the sound is iffy since no one had tried to record that type of band their before. Although many jazz recordings had been made at Carnegie Hall, 1971 was certainly still early days for genuine rock concert recordings. Jethro Tull recorded a concert there in 1970 and Ike and Tina Turner performed there in ’71, resulting in an album. But I think Chicago were the first rock band to have the venue as the title of their record. Maybe the sound guys were just having a bad week! Interesting, as usual, thanks Bruce. 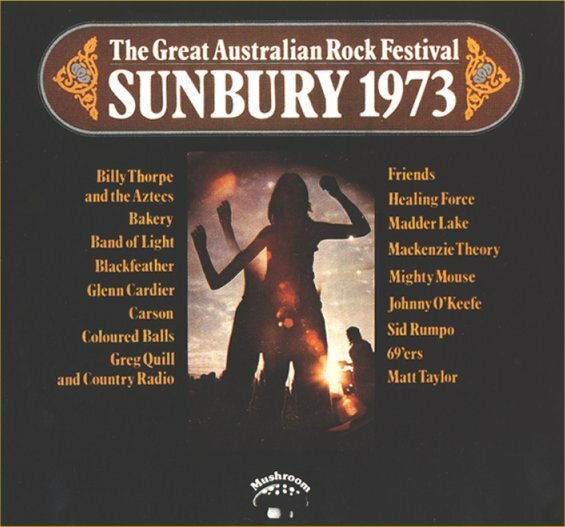 Seeing the Sunbury cover took me immediately to a Lobby Loyde solo (Sunbury 1974) that was long enough to fill a triple lp yet good enough to take me to the stars and back again in the hours before dawn. Remarkable. Lovely image. Is there a Lobby album you’d like to read a VC take on? Obsecration springs to mind. I do occasionally wonder if the idea for the first-ever double album (live or otherwise) came by accident. Follow me on this one. So an artist designs a cover so amazing that he or she cannot contain the idea within two 12×12 spaces. 12×24 however, that’s different. So comes the first fold out sleeve. The record label people start screaming about cost overruns in packaging and BOOM! The agent steps in suggesting a two sleeve fold out, commits the musical artist to a second album, twice the original number of scores to be completed by the same final production date, and there you have it. I’m not saying it happened that way, but it could have. Ah-ha! You favour the tail wagging the dog hypothesis. Could be! The earliest gatefold I could discover was a double album by Ella Fitzgerald in the mid-50s (that’s LP, not 78). What we do know is that the first album with gatefold to include lyrics was Sgt Pepper. Not relevant, but a factoid none-the-less. Apparently Dylan’s Christian fans prayed for years prior to his mercifully brief dabble with religion. I’ll pray for your enlightenment about Live albums, brother. Never considered the chronology of LP count, so surprised to learn Chicago at Carnegie did 4x before anyone tried 3x! Thanks for your comment. Sorry to disappoint on the ‘voting’ material. It wasn’t included in the copy I purchased in Australia. Perhaps it was only included in territories where it was relevant and meaningful. Coming from a country that has compulsory voting, the enduring ‘Enrol to Vote’ issue in the States is understandable but distant. Anyway, thanks for joining in the dialogue. Live Dead is one of my favorite albums and the version of Dark Star on that album is my favorite recording of that song. I had no idea it was the first Double Live album ever. Since you mention jazz recording in clubs here, let me recommend the Coltrane Village Vanguard Recordings from 1961. I have no idea how much of that set exists on vinyl. I have the complete recordings on CD, and they’re some of my favorite jazz. I was lucky enough to get to spend an evening at the Village Vanguard about 15 years ago, and that evening is one of the best memories of live music I have. I love that Chicago Track. Absolutely with you on “Dark Star”. I should emphasise that I haven’t been able to discover an earlier live double album than Live Dead. I’m expecting that eventually someone will come up with one and correct me! Your jazz night sounds brilliant. And aren’t CDs so useful for that archival material? They provide access to music that would otherwise be unavailable or only for those with deep eBlah pockets. Great to have your comments, Gene’O. Thanks! Maybe I’ll write a post about that night at the Village Vanguard sometime. It’s close enough to the subway that you can feel a shudder run through the building when they pass. But the music doesn’t miss a beat. VC visitors might well enjoy the variety and thoughtful commentary at Sourcerer. Check it out! Re Lobby Loyde: I think it could be interesting to look at early local groups like The Purple Hearts in [e.g. http://www.milesago.com/artists/purplehearts.htm%5D. PS: I gave up going to Lobby’s gigs/ concerts (and many others) due to hearing problems induced by The Coloured Balls shortly after Sunbury 1974. Thanks Marie. There’s a whole lotta music on those first 3 double albums and much of it is energised and engaging.The first one, in particular, is a blast. Energizing and engaging are apt descriptors, for sure. It’s too bad that their later wimpish stuff has given them a reputation for cheese among those that are unfamiliar with their earlier work. Sad. That’s terrific. Glad it brought you some pleasure. Has there been a live, 5lp set by a single artist? Phish perhaps? There aren’t many bands I think I’d sit through for 10x sides, and that includes Phish. Nice write-up! Well, in fact there has! Bruce Springsteen released Live 1975-85 on 3 CDs and FIVE LPs in 1986. Because it is in ‘the CD era’ it won’t get coverage here, I’m afraid. I do have a 3 CD Phish album Live in Brooklyn which, at over 180 minutes in total, would cover 9 sides of vinyl… the mind boggles. Also, for some reason i feel that i should add that the remastered cd contains remastered audio, so it actually cranks a bit harder than the original LP’s and few of the bonus tracks are just alternate versions of songs….oh and much much more of the quiet stage banter and tuning up between songs!!! they probably could have made it a 3 LP set if they originally cut all of this out!! With you on early Chicago – the first three are all inventive energetic and diverse. I remember hearing that IV Live had been re-issues with improved sound but have never tracked it down. There is also a live double recorded in Japan which I hear sounds great, but I’ve only seen it at prices that put me off. I’m also with you on 3 LPs being probably the maximum tolerable size for any album!